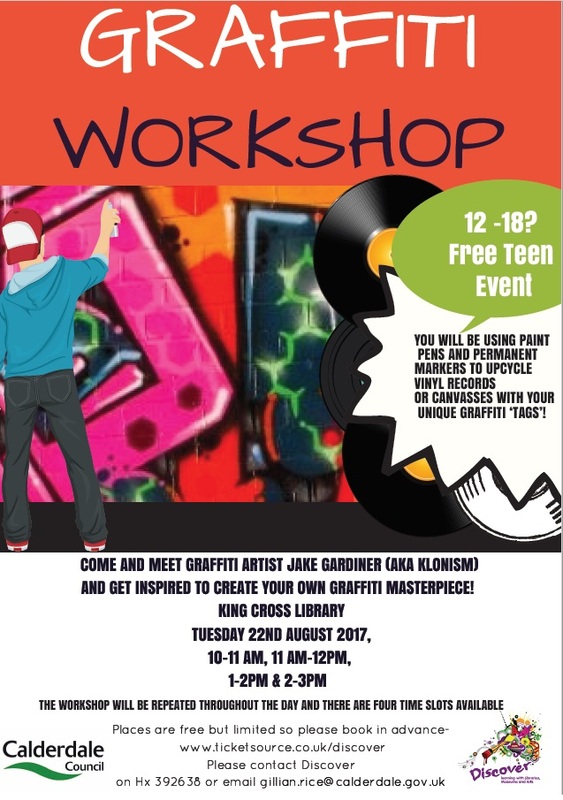 Meet Graffiti Artist Jake Gardiner (aka Klonism) and get inspired to create your own graffiti masterpiece. The 4 workshops at King Cross Library is for 12 -1 8 teens on Tuesday 22 August 2017 and are; 10:00-11:00, 11:00-12:00, 13:00-14:00 and 14:00-15:00. You will be using paint pens and permanent markers to upcycle vinyl records or canvasses with your unique graffiti ‘Tags’. 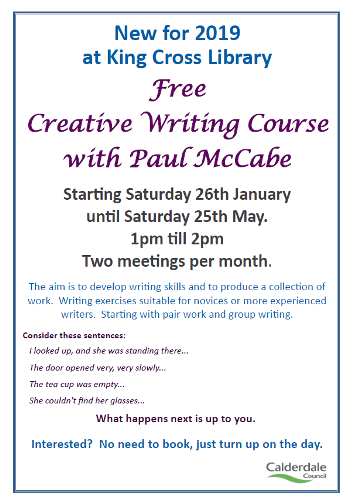 This entry was posted in Aug, Events, Young People and tagged Calderdale Libraries, King Cross Library.